Join us for the Serenade trip of a lifetime! 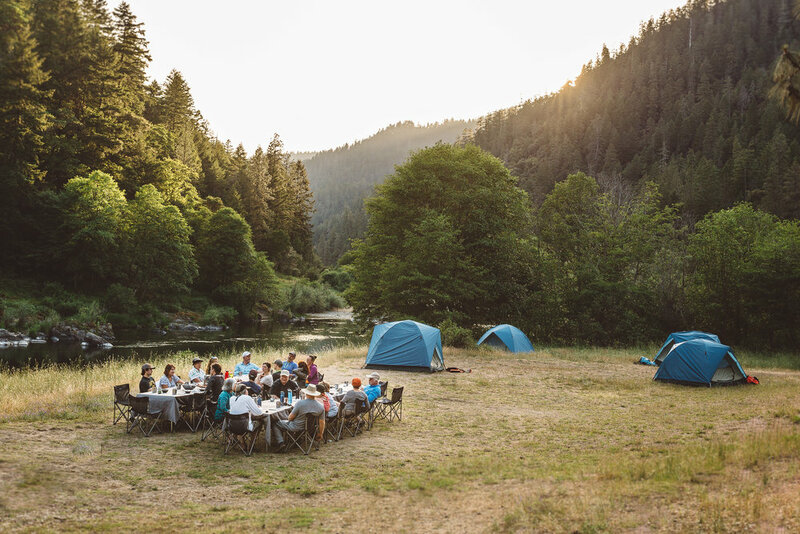 Raft the Wild and Scenic Rogue River by day and gather for music and feasts around the fire at night. There is no better way to Serenade your senses than on this multi-day adventure. Join us at our riverside tables, where the Rogue is your dining room and dessert is served under the stars. We bring talented chefs along to craft dinners using live-fire techniques in this wilderness setting. Come evening, we gather for the Serenade happy hour complete with appetizers, beverages and live music. This is followed by a communal feast prepared over live fire. Finally, dessert is paired with more music played by firelight. Four days of rafting the Wild and Scenic Rogue River with Northwest Rafting Co. Choose to paddle your own inflatable kayak, be part of a paddle boat team, or relax on a raft as a guide rows you down the river. Floating musical serenades happen often through canyons and on calm stretches. Lunches are prepared river side by guides as we explore side creeks, waterfalls, jumping rock and scenic hikes. Once in camp, take the time to relax with a cold drink, hike the Rogue River trail, read that book you’ve been putting off, or chat with your new friends. Fall asleep beneath the stars, or cozied up in a tent and wake up excited to do it all over again. From happy hour jams and campfire concerts this trip wouldn’t be a Serenade without music. Featuring multiple musical guests for solo sets and rowdier collaborations you will even have the opportunity to enjoy floating Serenades.